An ultra-modern yet timeless cubicle, Edge delivers clean lines, flush façade and high quality furniture. 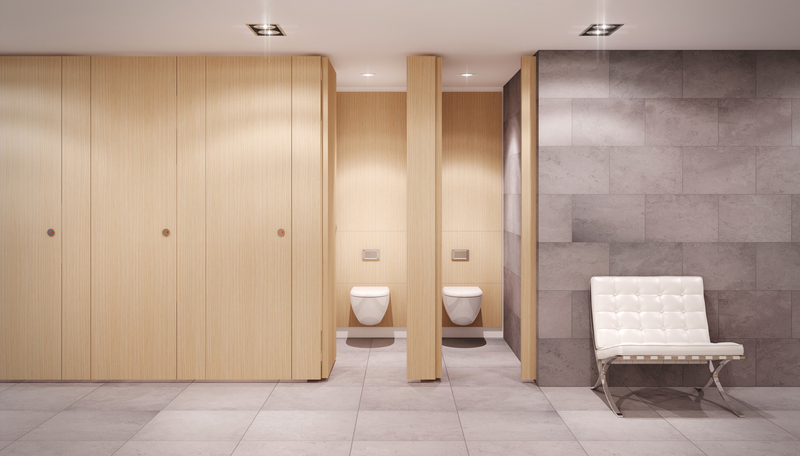 Flush frontage, affordable luxury – washroom styling at its best. 44mm thick doors and pilasters and 30mm thick partitions run floor to ceiling with minimal / zero ground and ceiling clearance. All the fixings to surrounding floors, walls and ceilings are completely hidden from view to add to the uncluttered appearance. The cubicle doors are hung on high quality self-closing hinges and are complemented by the minimalistic contemporary indicator bolt. Edge cubicles are manufactured to your exacting standards and are faced with either FSC certified real wood veneers that are matched across the cubicle face, high pressure laminate including ultra-high gloss and ultra-matt finishes, toughened back painted glass or solid surface materials.